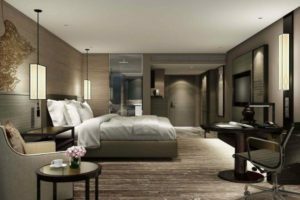 Choosing the right hotel is always a trying task, and with the enormous number of promotions, deals and programs out there, it can be downright overwhelming. It doesn’t help that these days most hotels have Websites full of tantalizing photos and slick promotional information that make you believe you’ll be bathed in luxury as soon as you step foot into the lobby. 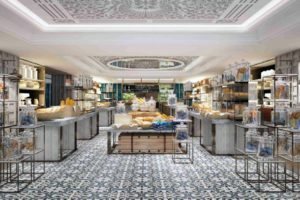 How can you tell if a hotel will live up to its own hype and, more importantly, if it’s the right hotel for you and your party? Difficult indeed. ere aren’t actually too many of them around anymore, what with the large number of “Boutique” hotels coming up. Not that there’s anything wrong with these, quite the contrary. 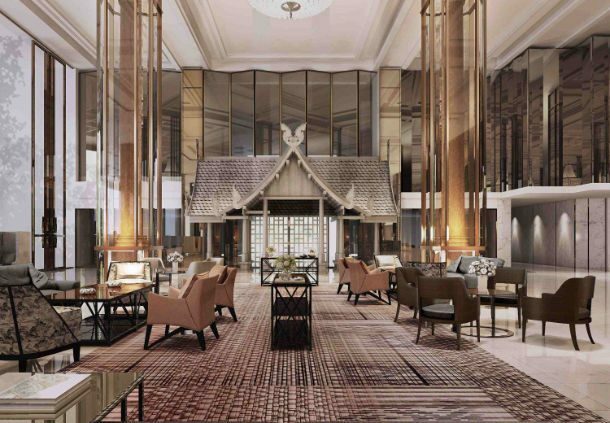 However a few years ago, there was an impressive, old hotel called the Imperial Queens park, located along Sukhumvit Road in downtown Bangkok, surrounded by several of the city’s most vibrant shopping, business and entertainment districts. That iconic hotel has now been completely renovated, into the Bangkok Marriott Marquis Queen’s Park, which boasts 1,360 rooms and suites. The rooms are all practically brand new, it’s only just opened, and it still has that new smell. The breakfast is most probably the best choice I’ve seen in town, offering everything you could possible need in the morning to get you fired up for the days activities. This hotel really gives you a feeling of space. There are five restaurants to choose from at the moment, with another one on the roof opening very soon. Its modern design, intuitive technology and authentic experiences are aligned to challenge the status quo and address the needs of today’s and tomorrow’s discerning travelers. Close proximity to Phrom Phong’s BTS Skytrain Station really helps, as well as the EM District, a new shopping district, being just around the corner. If you are traveling with non-golfers, they will be set. 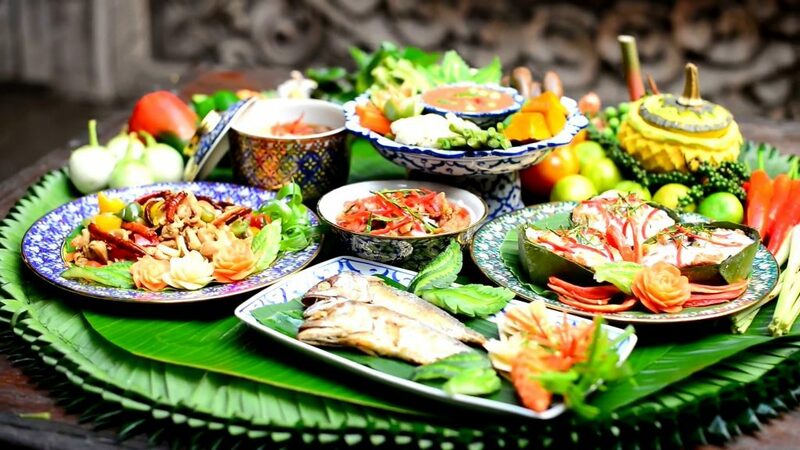 We are more than happy to help and guide you through the process; we know the hotels very well in Bangkok, and can help all in your party make the most of their trip. The popularity of golf has skyrocketed across the world with several unexpected countries emerging as world-class golfing hubs. 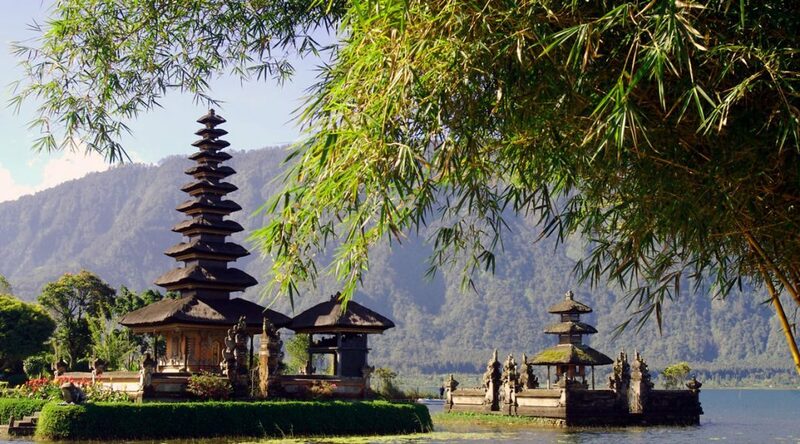 While the sport was previously confined to the shores of Europe and North America, the modern game has taken a turn towards the Orient with Asia emerging as a key travel scene for golf lovers. 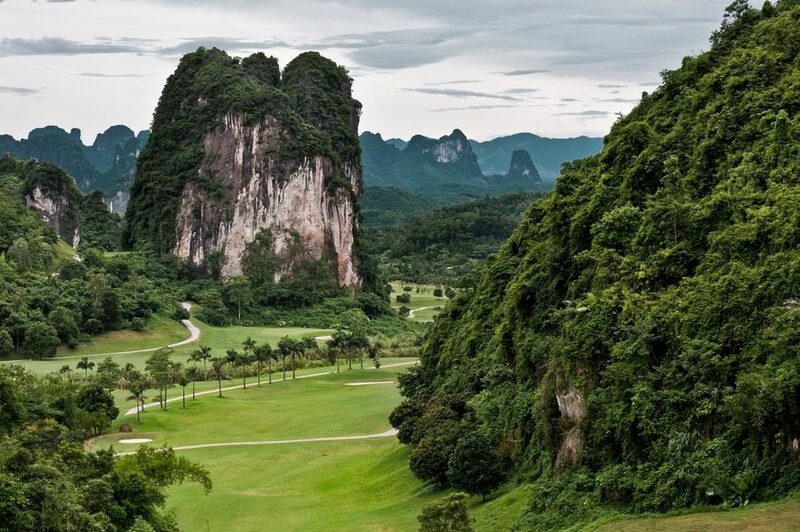 Paying tribute to the budding attractiveness of this sport in the region, unbeatable golf courses have rapidly sprung to life across Vietnam, Cambodia, Thailand, Indonesia, Singapore, Malaysia and many other parts of the Asian sub-continent. But every time golfers step on to the golf course, they have potential liabilities –– whether as players or spectators. That’s why Golfasian has created a comprehensive golf travel insurance package designed to meet your every travel need. Golfing liabilities can arise from practically anywhere –– whether you’re practicing, playing, driving buggies or simply attending tournaments as a spectator. To protect yourself from harmful risks and losses, you’ll naturally want to equip yourself with proper on-course and off-course protection. With this in mind, Golfasian and Pacific Cross insurance have come together to offer an exclusive and all-inclusive insurance scheme for all golf enthusiasts looking to indulge in the lure of the game and the exquisiteness of the region. The next time you book a golf holiday, you may want to consider golf travel insurance, giving you access to the widest travel coverage at highly competitive premium rates. Up To US$ 75,000 Worth Of Medical Treatment: Medical treatment includes fees for surgery, ambulance, medicines, tests, hospitalization and follow-up care. Up To US$ 65,000 Worth Of Personal Accident Insurance: This covers permanent disability or accidental death (inclusive of sight and limb loss). The maximum coverage will double when an insured person travels on public transport as a fare-paying passenger. Baggage Damage/Loss Up To US$ 800 And Baggage Delay Up To US$ 125: Any damage or loss of baggage that results from theft, burglaries, accidents or mishandling will be covered up to US$ 800 with a limit of US$ 250 per baggage item. Any baggage delay of at least 12 hours will be covered up to US$ 65 per item for purchasing emergency items like clothing and toiletries. 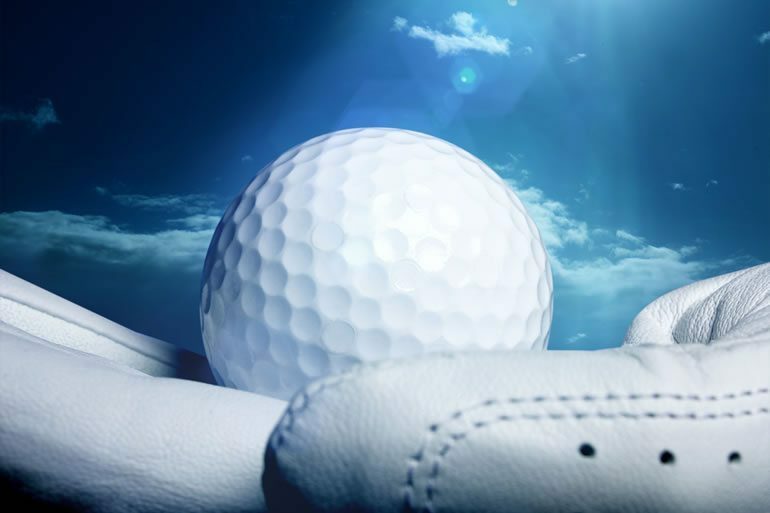 Golfing Equipment Loss/Damage Up To US$ 2000: Any damage or loss to the golfing equipment of an insured person –– either in transit or at an accepted golf club will be covered up to US$ 2000 with a limit of US$250 per article. Loss Of Travel Documents Up To US$ 1500: Any loss of travel documents will be reimbursed up to US$ 1500 to cover the cost of replacing air tickets, travel expenses, passports and accommodation. 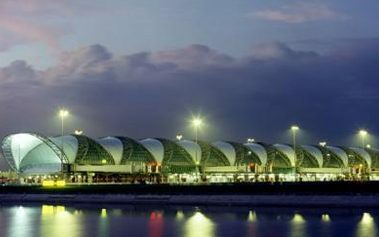 The travel documents may be lost because of accidents or burglaries. 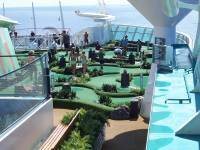 Up to US$ 300 for Hole-In-One: If an insured person is able to score a Hole-In-One at an accepted golf club, then an allowance of up to US$ 300 is payable, if the person is able to submit a signed certificate from the golf club. Whether you’re looking to take advantage of Thailand golf holidays, Malaysia golf holidays or Vietnam golf holidays, Golfasian has a bevy of enticing packages designed to meet your every travel need –– enabling you to relish in the spectacular backdrop of the Asian region by combining it with your favorite sport. And to help you transform into a smarter golf traveler, Golfasian empowers you with a well-thought-out travel insurance package, designed to make your golf holiday as stress-free as possible. Bangkok is an enchanting city with rich golf, culture and attractions. It is known as an international golf destination for its diversity of 60 golf courses, year-round golfing weather, delicious food, numerous attractions, and most of all friendly people. Bangkok was voted “World’s Best City” by Travel +Leisure magazine in 2010. The championship golf courses and vibrant streets of Bangkok never stop to amaze vising golfers. 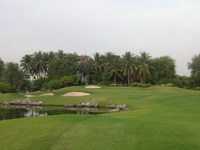 Courses such as Thai Country Club, where Tiger Woods cruised to a 10 shot victory in the 1997 Asian Honda Classic and Alpine Golf Club where again Tiger Woods won at the 2000 Johnnie Walker Classic exemplify some of Bangkok’s best golf. Nowadays, there is Royal Gems Golf City where golfers can experience August National by day and Bangkok by night. 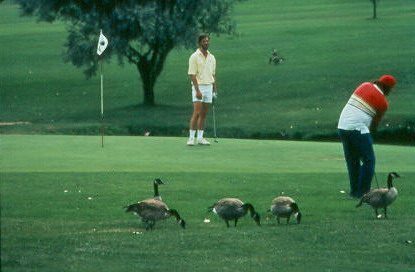 Not only are the famous golf courses available for visitor play, but also some of the lesser known golf courses are truly gems in their own right. 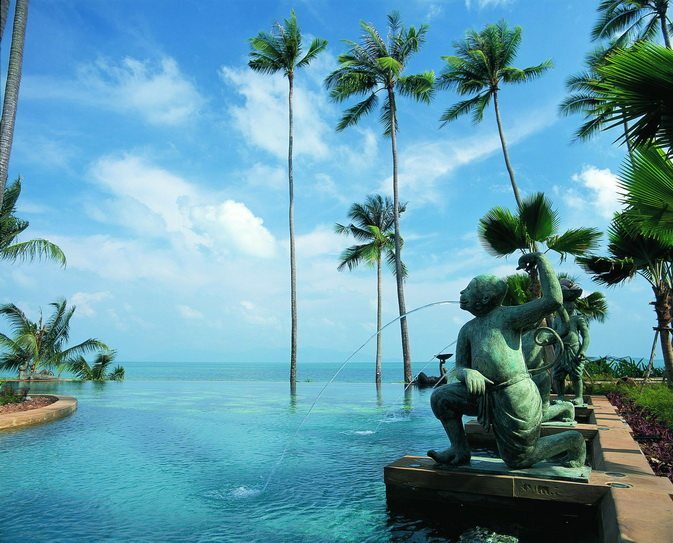 Thana City is Thailand’s only Greg Norman design and is located only 20 minutes from downtown Bangkok. Muang Kaew is similarly located and is one of the best maintained Bangkok golf courses. Bangkok offers a truly unique golfing experience in its own chaos that defines the city where anything is possible. A place where golfers from the east meets golfers from west, where flat courses configured from rice paddies meet hilly layout designed by the world’s greatest golf architects, where high-rise buildings meets enticing temples and where street markets meets high-end retail shops. There is a Bangkok golf holiday for everyone. The future is looking bright for Thailand golf with investment again seeing a surge with one new golf course estimated to be opened every 3 months or so for the next two years. Thailand’s visiting golfers are also on the rise and the ‘Tourism Authority of Thailand’ recognizes the positive effects of Thailand golfing tourism on the country’s economy which is why it heavily supported inbound golf tourism since its landmark success with the first ‘Visit Thailand’ campaign back in 1987. Today over 500,000 golfers visit Thailand each year and this number just keeps going up. 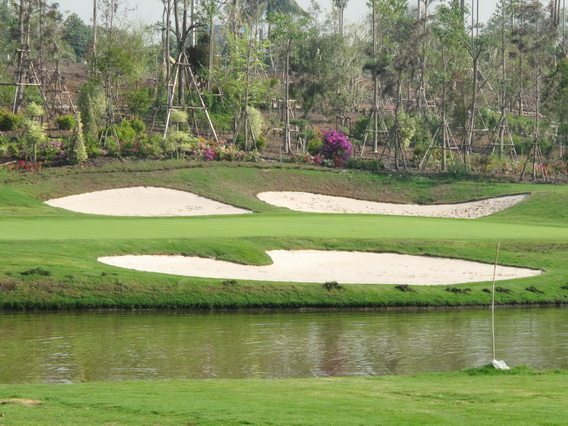 Many of Thailand’s courses have been designed by internationally recognized golf course builders & architects such as Jack Nicklaus, Nick Faldo, Greg Norman, Pete Dye and Robert Trent Jones Jr. The landscape is indeed varied, offering courses carved out of the jungle, atop of mountain retreats and bordering onto some of the world’s whitest sand beaches. 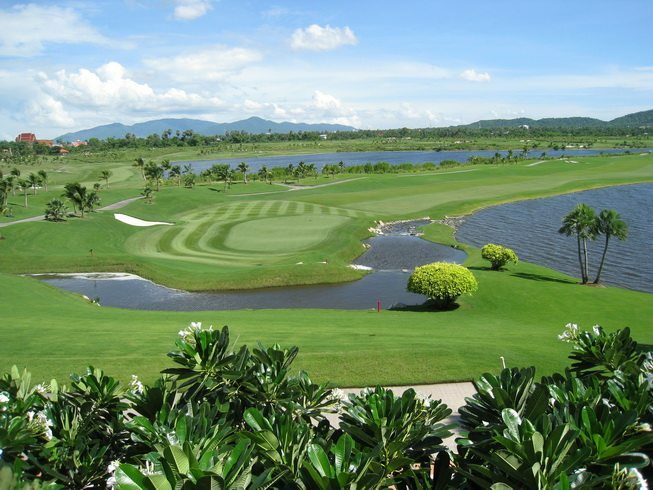 An apt case study is the picturesque Laguna Phuket Golf Club, which was awarded this year an IGOLF ‘Laureate Course Status’ by the International Golf and Life Foundation (IGOLF) for its commitment to environmental and social responsibility. 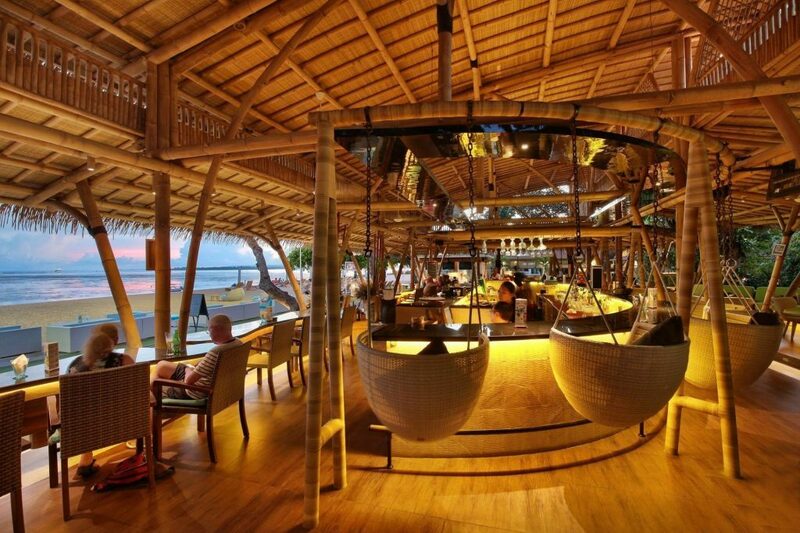 Laguna is a shining example, having been rehabilitated from a barren tin mine. It now plays home to a variety of wildlife, including kingfisher birds, fishing eagles and white egrets. 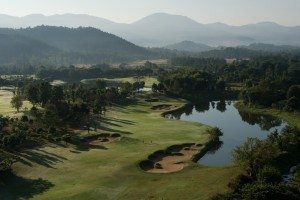 Chiang Rai is away from the crowds and still offers a great golf holiday. Thailand’s northern most city of significance, Chiang Rai may not have a quantity of golf courses but with Santiburi Chiang Rai Country Club it certainly has quality. And with conditions at Waterford Valley Golf Club having improved in recent years there are now two courses well worth checking out. 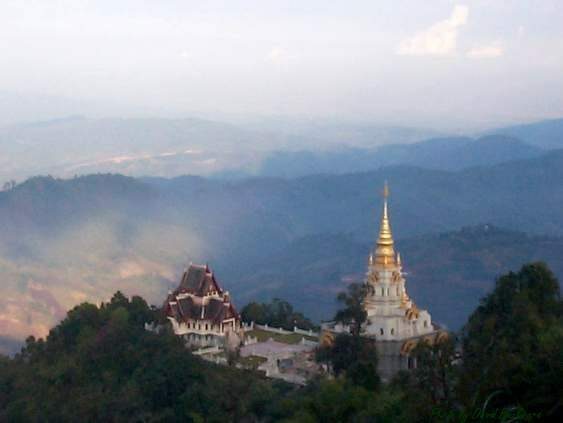 A variety of cultural attractions in the area also add appeal with the Golden Triangle, the Queen Mother’s Botanical Gardens, a mountain-top Chinatown, opium museum, and long tail boat upriver excursions. 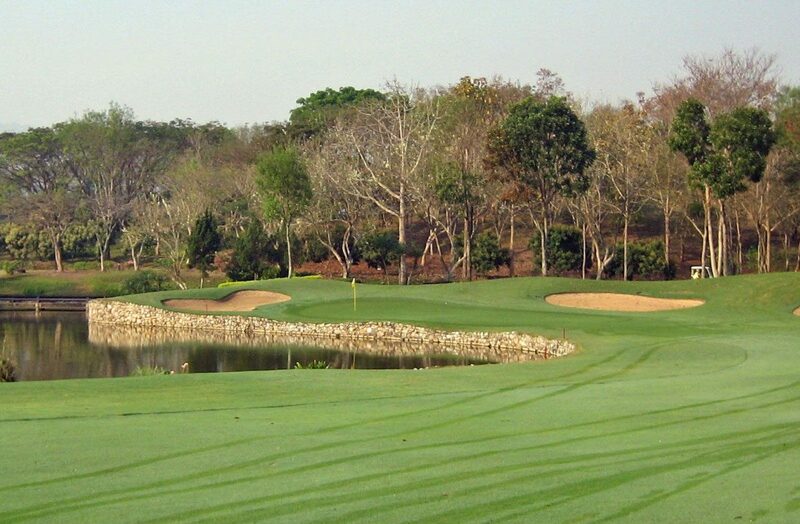 The Chiang Rai Robert Trent Jones Jr. designed Santiburi Country Club is laid out over vast fields with excellent placement of holes and an abundance of water hazards and bunkers. 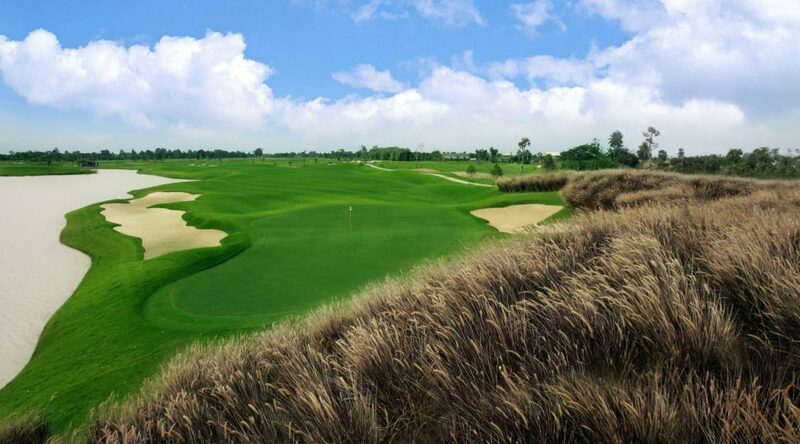 The golf course is widely regarded as one of the best conceived and maintained golf courses in Asia. Golfers living in Thailand will tell you that Santiburi in Chiang Mai is one of their favorite golf courses in Thailand, and this is no small compliment! Santiburi Country Club was the first Chiang Rai golf course. Asian and European Golf Teams will be able to boast their own royal connections when Europe and Asia do battle in the fourth Royal Trophy this weekend January 8-10 at Amata Spring Country Club in Bangkok. Asia's bid to defend the trophy donated by His Majesty the King of Thailand, will be spearheaded by Ryo Ishikawa, also know to his army of fans as 'The Bashful Prince'. The European challenge will be led by Colin Montgomerie, who was installed as a Member of the British Empire and awarded the even more prestigious Order of the British Empire. While Ishikawa's royal link is an affectionate one, born out admiration for the way he handles himself on and off the golf course, Montgomerie is justifiably proud that his talents have been officially recognized by Britain's royal family. Despite his youth and relative inexperience, Asian Team Captain 'Joe' Ozaki was happy to pinpoint Ishikawa as the man to inspire his team when he made his debut in the 2009 Royal Trophy. As the Asian team's highest ranked golfer and a hugely charismatic figure, the 18 year old Japanese star is certain to take on the role of their talisman again this time. The Royal Trophy sponsors include Heineken, Tourism Authority of Thailand (TAT), PTT, Sports Authority of Thailand and Siam Commercial Bank. The Championship is also supported by Bangkok Metropolitan Administration and Chonburi Provincial Government. Anyone in the country on a Thailand golf tour should not miss the event, which is free to the public. See everyone on Sunday at the event! The Honda LPGA golf tournament will return to Pattaya on February 26. After a 1 year absence, the event will be held once again at Siam Country Club. However, this time the golf tournament will be held on the more challenging Siam Country Club, Plantation Course instead of the 2007 tournament site, the Siam Country Club Old Course. The new venue should make for some great golf, even if the scores are on the high side. Two young pro golfers from Thailand, Thidapa Suwannapura, and 13 year old Moreeya Jutanukarn have been invited to play among sixty of the world’s top women players over the four-day, 72-hole stroke play with no cut in the field. Some of the best players gracing the tournament are recent winner of the Women’s Australian Open Golf championship, Laura Davies; golf babe Natalie Gulbis; and Asian golfing stars Mika Miyazato and Shiho Oyama. The very prestigious golf event, scheduled from 26 February to 1 March 2009, is also expected to make headlines as Rolex Rankings’ world number one Lorena Ochoa of Mexico and world number three Paula Creamer from the USA, two superstars in women’s golf are participating. The tournament offers a prize purse of US$1.45 million, which makes it the wealthiest professional golf event in Thailand in 2009. 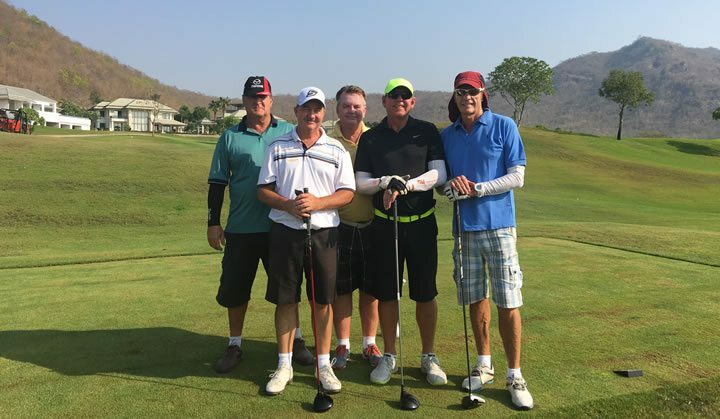 If you are interested in visiting Pattaya on a golf holiday and/or attending the event, please drop me a line at my Thailand Golf Vacation company and I will put something together for you. We have some great deals at other area top courses like Laem Chabang and St. Andrews Hill as well as a golf special at the Pattaya Marriott Resort & Spa. We all need to get away occasionally and escape the routine of our jobs to find a few days to golf away from the town or city we call our home. Since the early 1800s international tourism has grown from humble beginnings to a multi-billion dollar industry that spans the globe. Even the Romans needed a break and the first documented examples of holidays show wealthy families getting away to coastal villages and towns such as Baiae; albeit with no mention of any golf being on offer. In the 17th century it became common practice among aristocrats for their children to embark upon a ‘grand tour’ of Europe to gain experience and achieve maturity. Again, it seems unlikely that golf clubs were included in the vast quantities of baggage they carried with them. It wasn’t until 1841 that the seeds of today’s package holiday empire were sown. Thomas Cook organized the first package tour in July 1841, even if it was a fairly understated affair. He joined forces with a rail company to charge one shilling each (about ten cents US) to a group of 570 temperance workers traveling from Leicester to Loughborough for a rally. 1. For his/her next golfing holiday in Thailand, a new travel golf bag will be well received. One of the best I have seen recently is the OGIO Mammoth (US$330.00). This sturdy golf travel bag stands upright and glides effortlessly in transit thanks to four sturdy, swiveling wheels. The OGIO Mammoth has a wide mouth opening that unzips the full length of the bag. Once inserted, your golf bag stays securely in place.. There is a shoe pocket, carry handle, hat pocket, plus four exterior pockets for rain gear or other last minute check-in items. 2. Very handy when you are golfing in Thailand on a hot day is the Golf Club Kooler Klub (US$49.99), the best way to discreetly carry beverages with you on the Thailand golf course. This high-tech cooler club holds 48oz of hold or cold beverages (enough to satisfy a thirsty foursome). 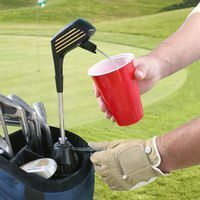 It looks like an ordinary golf club, however just a few taps on the dispenser is all it takes it fill your glass or flask. The shaft of this Golf Club Kooler Klub fits easily into your bag takes ice cubes, carbonated beverages, or alcohol. Just do not tell the club officials, as outside drinks are frowned upon at most Thailand golf courses. 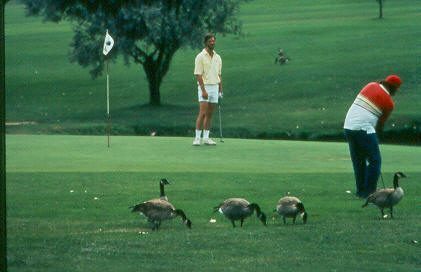 To start the week off on a high note I thought I would let you know about the great golf site which I came across the other day. Eagle Par Birdie is a multi-media blog site devoted to amateur golfers. It’s written by Chris Henry, a veteran Canadian broadcast journalist and golf writer with more than 30 years experience covering international news and sports. Eagle Par Birdie touches all the bases for the amateur player: equipment news, instruction advice, tour news, course reviews, golf travel destinations and golf interviews. In the future you may even see some posts on Thailand golf! The audio interviews can be listened to right at your computer by simply clicking the hot link indicated in the body of the text. In keeping with the openness of this Thailand golf golf blog,the Eagle Par Birdie blog also welcomes feedback, so you can post your comments at will. Here is the continuation of my posts about Thailand golf societies, which can be an excellent choice for frequent Thailand golf travelers. 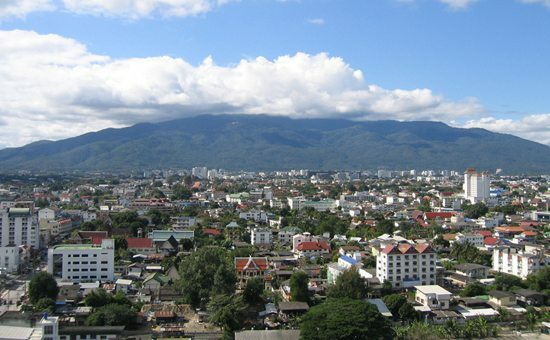 Golf societies also thrive in Phuket and Hua Hin. The Phuket Expat Golf Society (PEGS) was established some 12 years ago and has grown to a membership of over 500 golf enthusiasts from many parts of the world and different walks of life. 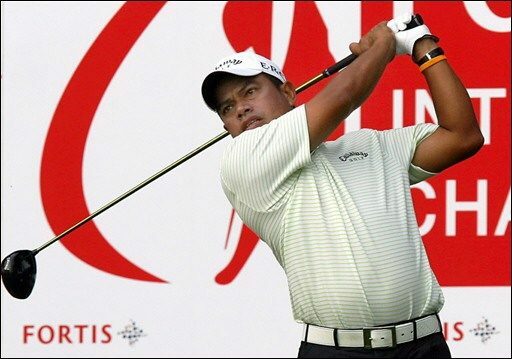 There is a program of regular tournaments on golf courses on and around Phuket whilst periodic challenges with other societies take place in various parts of Thailand, notably the Pattaya Sports Club and the Hua Hin Golf Society. Golf tourists are not allowed to join , but Phuket golf visitors are invited to participate in all of the PEGS competitions – go to the Island Lager Bar, Soi Lion, Patong Beach and make enquiries. 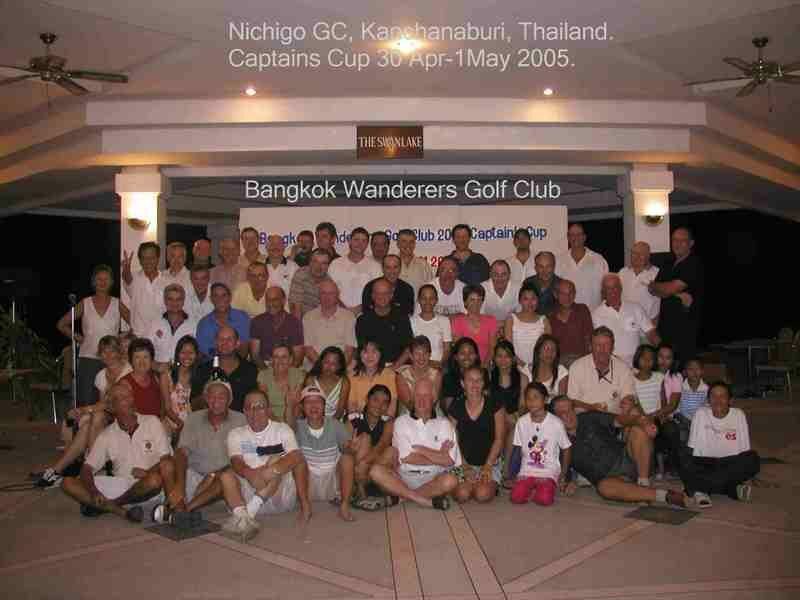 The Mulligan Golf Society was founded in Phuket in 1999. It is the brain child of two of the most colourful characters on the island, Bepy Graziani di Ceneda, owner of Toto’s bar and Restaurant & Peter Tkac, whose calling cards describe him as a “Free Lance Human Being”. After four years playing a weekly 9-hole competition at The Laguna Golf Club, the Mulligan Golf Society now hosts an 18-hole competition every Tuesday at the Blue Canyon Lakes Course. No membership is required, just walk into the pro shop, and they will take care of you. After golf, a party and prize-giving is normally held at one of three establishments at the entrance to the Laguna Resort (Toto’s Italian Restaurant & Piano Bar, Toto’s Pizzeria & Wine Bar, or JJ’S Irish Pub). You can’t help liking the Mulligan Golf Society’s events in Phuket with its cheerful adaptation to the island’s relaxed lifestyle. For those of you who are frequent golf travelers to Thailand, you might want to consider joining one of the local golf societies. Not only is it a good way to meet and socialize with like minded gofers in Thailand, it also can be a significant savings on green fees. Most Thai golf clubs are non-profit organizations and receive substantial group green fee discounts from the Thailand golf courses here. As might be expected, Thailand’s capital, Bangkok, boasts the highest number of golfing societies of the country’s main golfing locations. There is even a Societies Golf League, founded in 1995. 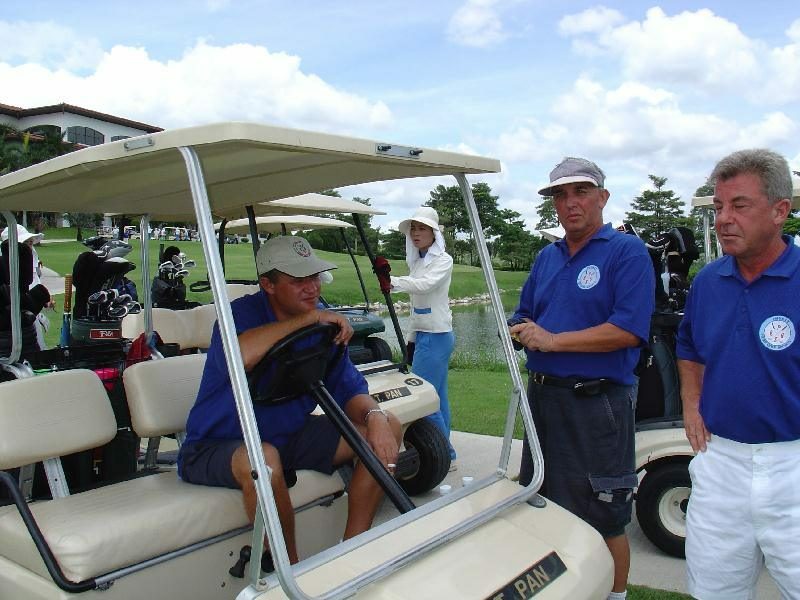 Participating clubs and societies have included Thunderbirds (now O’Reillys), the British Club, the Bangkok Wanderers, The Golfers Cocktail Lounge, The Japanese Society, the Lighthouse Golf Group, the British Embassy Golfing Society (now The Londoners), the American Embassy Golfing Society, Delaneys, Dynasty, Larry’s Dive, Soi Dogs, Bourbon Street Gators, R.S. Scandinavians, Gee Gee’s, Doug’s Hoodlums, Dunlop Duffers, the Bangkok Irish and an additional club from the British Club, the BC Lords. Are you planning a Phuket golf holiday and do you live in one of the following countries: Germany, the Netherlands, Belgium, France, Malaysia, Singapore, the United Arab Emirates, Korea, Hong Kong, UK, Sweden, Russia or India? If so, read on! 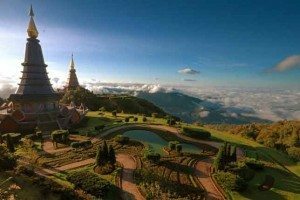 Phuket Governor Niran Kalayanamit announced recently that to promote Phuket to foreign tourist markets the Tourism Authority of Thailand (TAT) will be going on a 14-country road show. If you can attend this, you will have every opportunity to find out all about accommodation in Phuket, things to do and see, and of course, golfing on Phuket’s six fine golf courses, Blue Canyon Country Club, Phuket Country Club, Loch Palm Golf Club, Laguna Phuket Golf Club, Thai Muang Beach Golf and Marina, and Mission Hills Country Club. It is possible that representatives from these clubs will be on hand to provide any information you need. Those of you who were in Thailand last week and were lucky enough to be able to get to the Blue Canyon Country Club in Phuket for the Johnnie Walker Classic would have enjoyed a fantastic tournament. The final day in particular lived up to all expectations as a new star was born when South African Anton Haig won his first European PGA Tour event in a dramatic playoff. Twenty-year-old Haig joined the likes of Greg Norman, Tiger Woods, Ernie Els and Nick Faldo to become a Johnnie Walker Champion. Haig’s sudden-death playoff victory over Oliver Wilson and Richard Sterne was spectacular as he birdied the 18th hole in regular play and followed up with a birdie in the playoff to take away the US$404,993 first prize. Sterne and Wilson tied the playoff hole as well, each earning US$213,688. When was the last time you picked up your golf clubs? 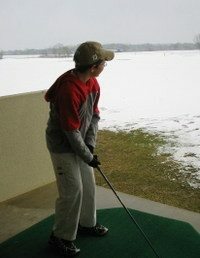 The winter has finally hit the USA and Europe and the short cold days means that golf is, at best, difficult. More likely, even for the die hard golfers, playing has become a difficult experience, practicing is out of the questions, and instead of being in the trunk of your car, your golf clubs reside in some closet at home. Late March and longer days will be evident; warmer weather cannot come quick enough! What is going to happen in April? You are going to get all excited when you get an hour’s more sleep because you know that the spring is on the way. You dust off the clubs and make sure the grooves are all cleaned up (probably the only time in the year that you perform this task). You make it to the golf club and spend the next 2 weeks to a month trying to get your game back. Isn’t it amazing how bad your putting and short game can be after a winter layoff? 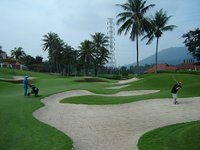 Most Thailand golf courses and Thailand golf travel agents offer rental golf sets and there is quite a difference in quality. At all but the best courses, like Thai Country Cub or Blue Canyon, the available golf clubs are generic brand clubs. The same is true for the Thailand golf agents. If you are booking a Thailand golf vacation through a golf tour operator, many of them carry their own rentals. However, being in the business I can tell you without exception and contrary to what may be advertised, the branded rental clubs from agents are 100% fakes! While not disastrous, you should nevertheless be aware of the situation. These clubs usually look new and very good. The irons are practically indistinguishable from the real clubs, but you will probably notice a difference in performance, especially with the woods. Thailand golf course club rental fees range between 600 and 1,000 baht a set a round. If you are planning on playing multiple rounds in Thailand and are on a tight budget, it may make financial sense to bring your own clubs. For left-handed golfers the choices are limited, and calling ahead to make sure the course has left handed rental sets available is a good idea. Some Thailand golf courses require a deposit or passport for renting clubs and few will reserve clubs in advance. So again, it’s a good idea just to check on the day of play if there are any tournaments or large groups that may have taken all the rental clubs. A popular time to be in Thailand for a golfing holiday is in February, which often coincides with Chinese or Lunar New Year. This year is the Year of the Pig and the start of the New Year falls on February 18. 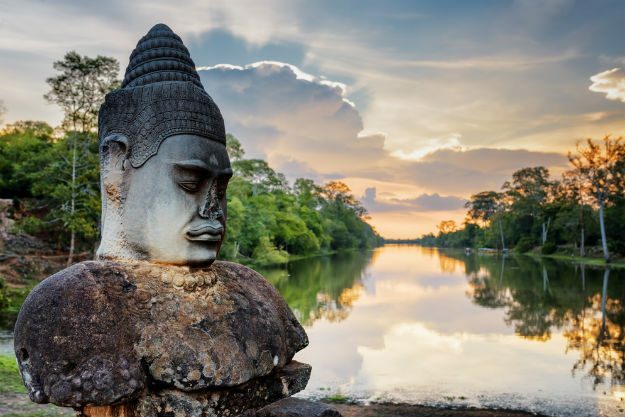 The first-time Thailand golf visitor may register a bit of confusion as to why the timing of some important Buddhist and traditional holidays seems to float across the calendar rather than occurring on fixed days each year as is customary in the West. The answer is such holidays are scheduled according to the ancient Thai lunar calendar, rather than the western Gregorian calendar which has been official in Thailand for many years. However, the traditional lunar calendar is very much in use for determining Thai holidays. 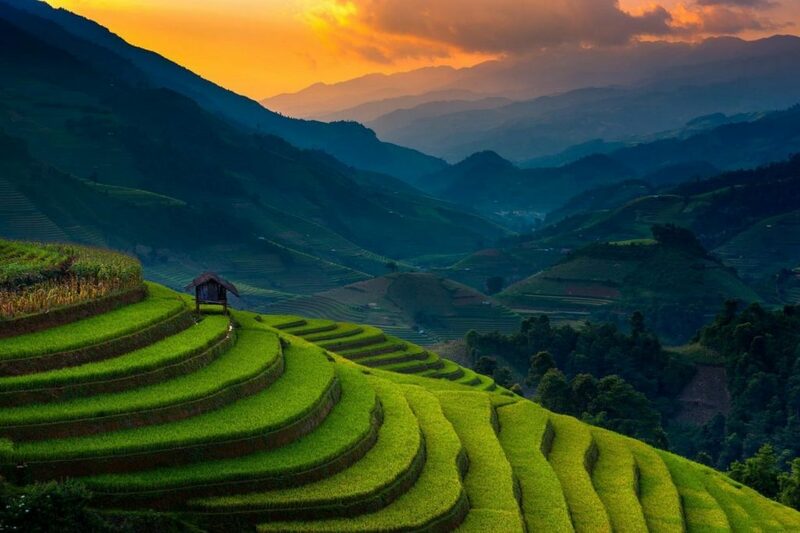 Rural Thais still mostly count the date according to the phases of the moon, and Thai calendars commonly show both the western date together with the Thai lunar date. Astrologers also use lunar calendars to fix auspicious days for weddings, journeys, new houses, and similar important occasions. The other day I was thinking about my Thailand golf life today and that of 20 years ago. Boy how time flies (but that is the subject of another post entirely)! It’s 7.30am on a Sunday morning. I jump out of bed looking forward to my regular Sunday Stableford match with friends at San Jose Municipal Golf Course. Opening the curtains to check the weather, I find an overcast sky with a smattering of rain, a howling wind and the temperature somewhere around 45 degrees Fahrenheit. Nothing put my golf off back then and even my dog thinks I am crazy to go outside! Arriving at my golf club some 30 minutes later, I struggle to get my clubs out of the trunk of my car, get my umbrella out over my head, and haul my clubs on my back all the way from the parking lot to the club house, all the while expecting my umbrella to turn inside out from the wind. Eventually, I make it to the self-service coffee stand at the snack bar in a semi-bedraggled state. Meeting my friends, I put on every item of clothing stored in my golf bag and including turtle neck shirt, sweater, and wind breaker before moving out again to the first tee. Welcome to winter golfing in the USA and now fast forward 20 years!